Wendy Tran sent this picture. Meet Phantom Regiment's cutest and most cuddly "phan" Pounce! 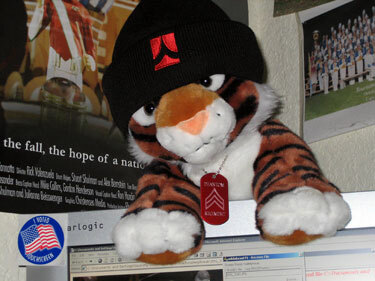 Pounce can be seen at most drum corps shows with his owner Wendy.